Molybdenum market quotation in China: the latest prices of molybdenum powder, molybdenum concentrate and molybdenum bar are unchanged from the previous trading. In March, good performance in steel tenders and active trading in molybdenum concentrates offered supports for the market, so the prices of raw materials tended to stabilize. However, weak terminal demand, unstable foreign economic environment, unclear environmental protection policy and VAT reform press market participants to some extent. Given that, most traders now take a watchful stance, waiting for new steel biddings. 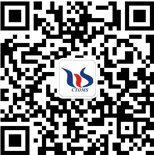 Follow our WeChat to know the latest molybdenum price, information and market analysis. Copyright © 2019 Molybdenum News Center. All Rights Reserved.